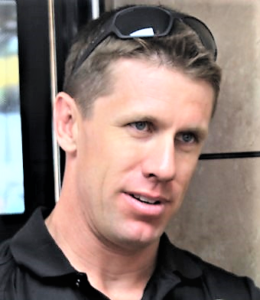 Former Columbia NASCAR driver Carl Edwards isn’t looking back with any regrets about his decision not to drive this year—and isn’t completely closing the door to not being on the track again in 2017. NASCAR columnist Bob Pockrass talked with Edwards when he was in Concord, NC, to shoot a Subway commercial with his replacement, Daniel Suarez, after the Daytona 500. (He still has a relationship with his one-time racing sponsor.) He says he watched part of the Great American Race but wasn’t glued to the television set during the whole thing. Yes, he’s heard the “really funny” rumors about why he has stepped aside. He put the rumor that he’s sitting out this year to join another team next year into that category. But he says he might be a substitute driver if necessary. “I’m paying attention enough and staying really fit…I’ll always be ready of somebody needs a driver for something,” he said. Edwards plans to go to Atlanta to counsel Suarez before next weekend’s race. Suarez, last year’s Xfinity Series champion, stepped into Edwards’ ride this year and ran his first Cup race last weekend at Daytona. He finished 29th after being caught in one of several multi-car crshes. Edwards got his first Cup win at Atlanta in 2005 and recorded two more later. He was in the top ten in 12 of his 19 races at Atlanta, with ten top fives.